Kento Momota survived a stiff challenge from Sai Praneeth. 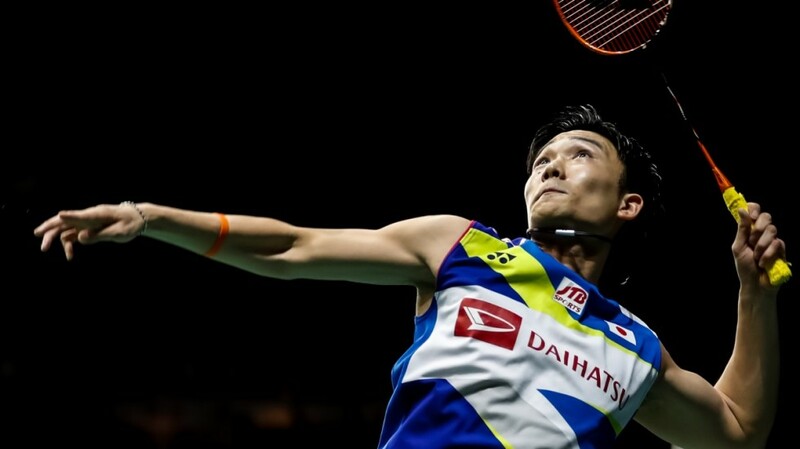 World No.1 Kento Momota held off a spirited fightback from Sai Praneeth to make the second round of the Singapore Open 2019 today. 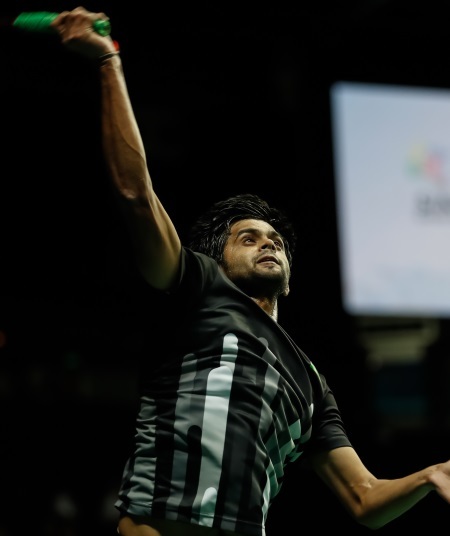 Praneeth, playing an inspired game at the scene of his career’s biggest triumph – the Singapore Open of 2017 – had Momota in his sights but failed to pull the trigger on time. The Japanese wriggled free, victorious at 19-21 21-14 22-20 in 75 minutes. The No.1 survived, but last week’s Malaysia Open champion Lin Dan retired from his first round against Viktor Axelsen while trailing 13-20. Lin blamed cramps in his left thigh for his decision. “The Malaysia Open was quite intense and I played a few long matches. I felt cramps in my left thigh and didn’t want to risk serious injury before the Sudirman Cup,” he said. Praneeth kept Momota guessing with his deft wristwork; the Japanese was unable to dictate terms as is his wont. But from 9-all in the third, his steady, opportunistic game saw him comfortably placed at 19-13. Praneeth’s rearguard battle came at this point; the Indian dug in and created his openings, into which he fired sharp smashes. Momota looked increasingly jittery as Pranneth drew to level terms at 20-all. However, the Japanese was again rock-steady when it mattered, and he refused to concede the advantage. A dejected Praneeth rued his inability to pull off what would have been a memorable win. “There were some crucial rallies where he drew me into his game and I lost those points. You can’t give him any chances,” said the Indian. Mia Blichfeldt beat Gregoria Mariska Tunjung. 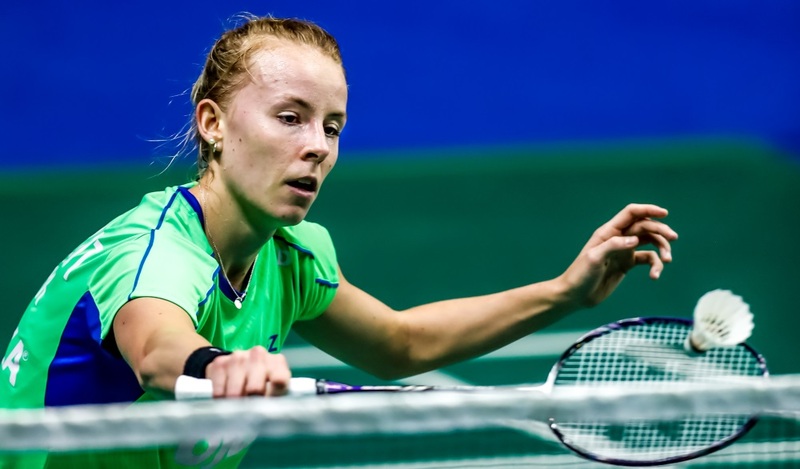 Denmark’s Mia Blichfeldt beat Gregoria Mariska Tunjung (Indonesia) for the first time in three matches, 21-16 22-20. 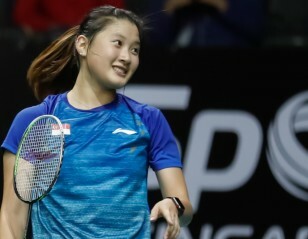 Mixed doubles second seeds Yuta Watanabe/Arisa Higashino fell to their third straight defeat – their second in two weeks – to Malaysia’s Tan Kian Meng/Lai Pei Jing, 16-21 21-18 21-15. 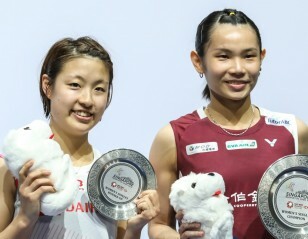 Malaysia Open women’s singles champion Tai Tzu Ying staved off a strong challenge from Beiwen Zhang after the two were neck-and-neck at 18-all in the third: 21-14 10-21 21-18. “It was a very tight match. I had to adapt to the court because the wind in the stadium is very unpredictable which made the match a lot more challenging. I feel more confident now because I managed to defeat top players in Malaysia like Kento Momota and Viktor Axelsen. However, my performance today was not up to my expectations.” – Jonatan Christie, after beating Khosit Phetpradab 21-18 19-21 21-18.